Dogs are some of the most lovable animals. They aren’t only just good at playing fetch. They’re the champions of bending the rules, but it’s impossible to get mad at them. The dogs in this slideshow show that dogs are more intelligent than we think. Don’t ever underestimate how rebellious a dog can be. 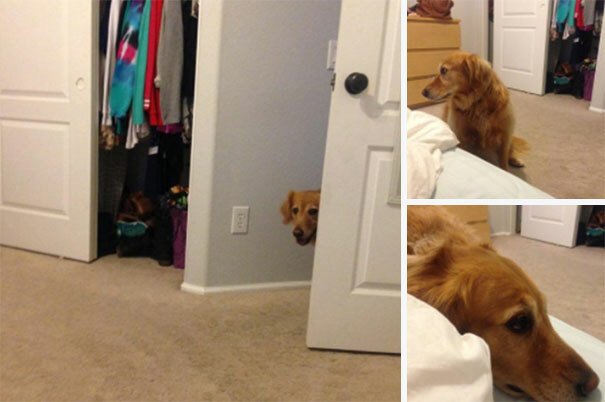 Enjoy these 25 pictures of dogs who like to break rules. She might not look like she’s bending the rules. 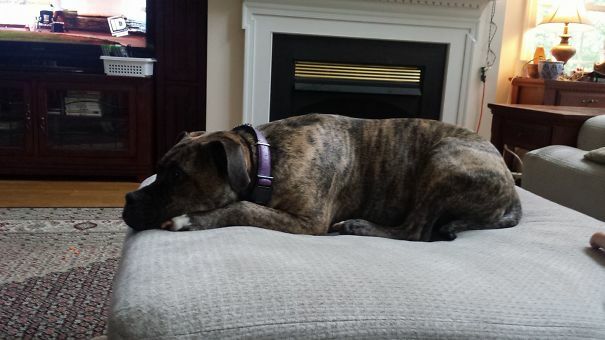 She is not allowed on the couch, so she decided to lay on the ottoman instead. Clever dog! She’s not allowed to have food on the couch. But it looks like she found a way around that rule! 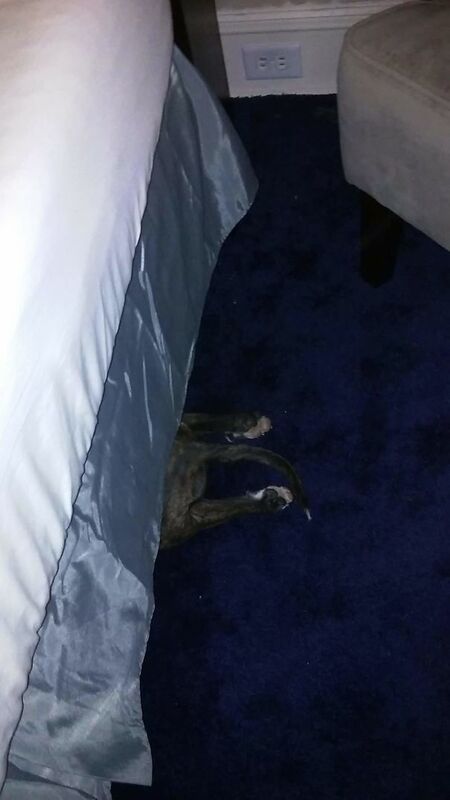 When this canine doesn’t want to take his medicine, he tries to bend the rules by hiding under the bed. He’s a keeper. How is this dog bending the rules? 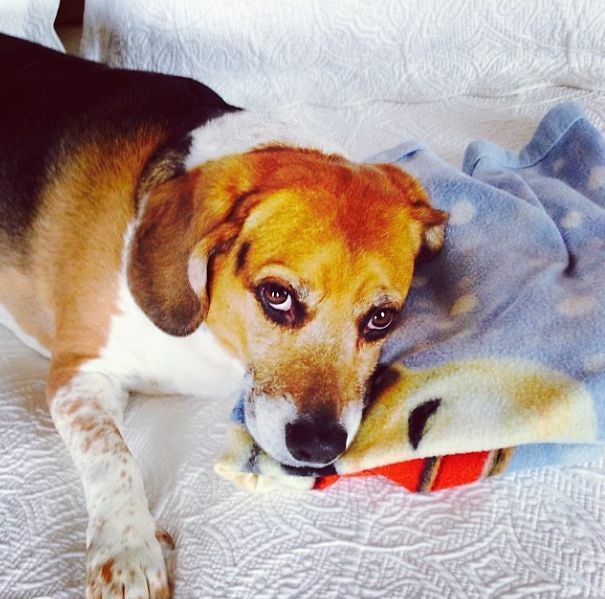 He is only allowed to lay on the bed when he’s on his blanket. He found a way to challenge that rule. This big guy in the picture is a mess. 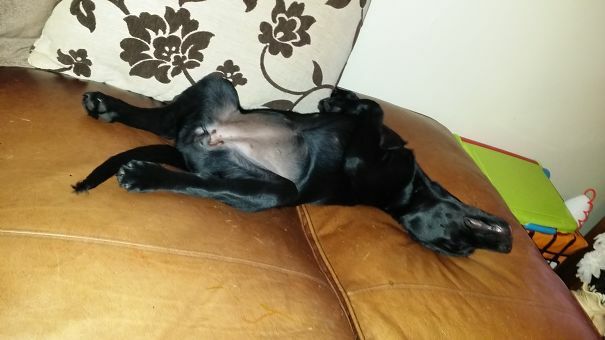 He thinks that if he pretends to be asleep, he won’t get told to get off the couch. He knows that he isn’t allowed to lay on the couch. But, he’s smart and found a way to compromise. 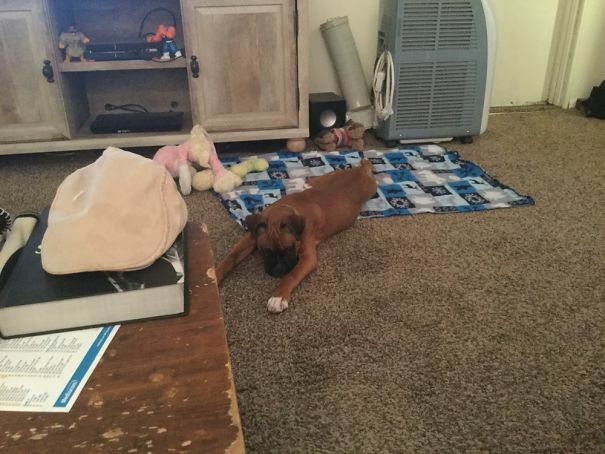 She was told to stay on her blanket. She’s going off inch by inch, hoping that nobody notices. There’s a very angry expression on her face. 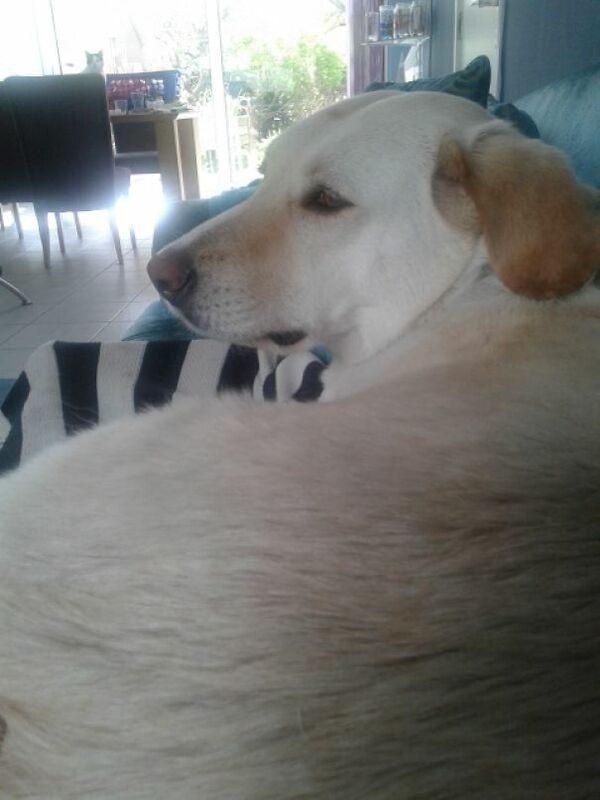 The dog isn’t allowed on the couch, so she decided to lay on her owner while the owner was sitting on the couch. Very sneaky. Hey, as long as his feet are on the ground, he’s technically not breaking the rules right? Dog logic. 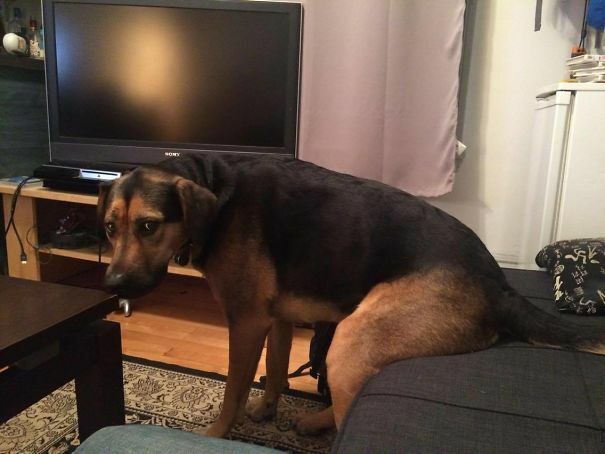 She thinks it’s okay as long as it’s just her bottom on the couch. That guilty face tells it all. 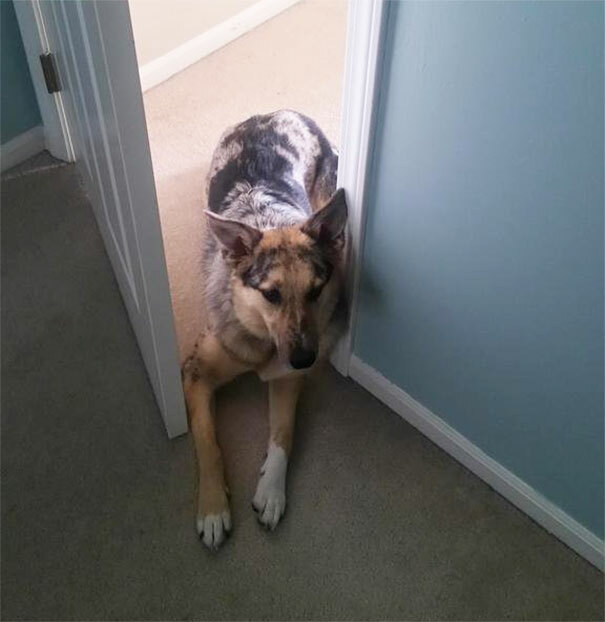 She isn’t allowed in her owner’s room, but it seems she found a way to get in it without breaking the rules. 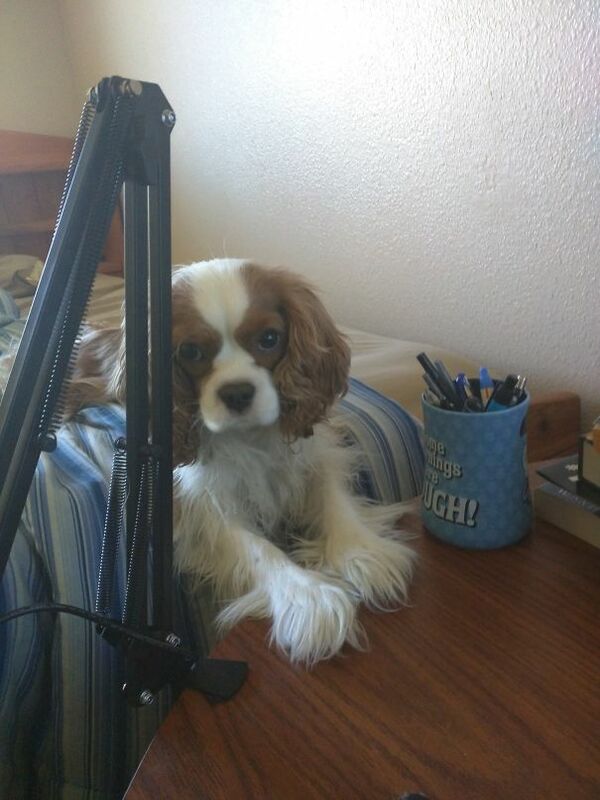 He’s not allowed on the desk. What a rebel. Not allowed in the kitchen. This obviously doesn’t count as being in the kitchen in a dog’s world. 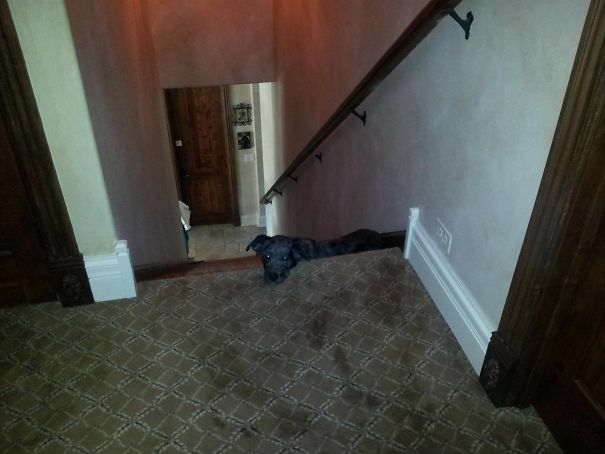 He knows he isn’t allowed to go upstairs. But, he found a way to cheat the system. 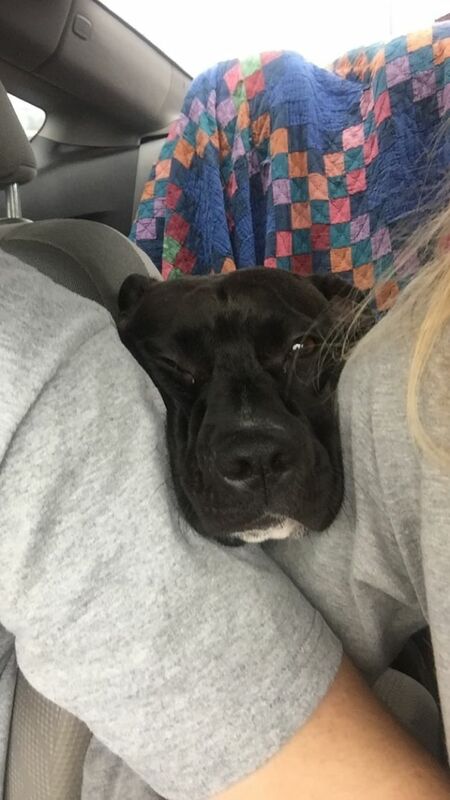 He is not allowed to sit up front in the car. So what does he do? Only stick his face in the front. 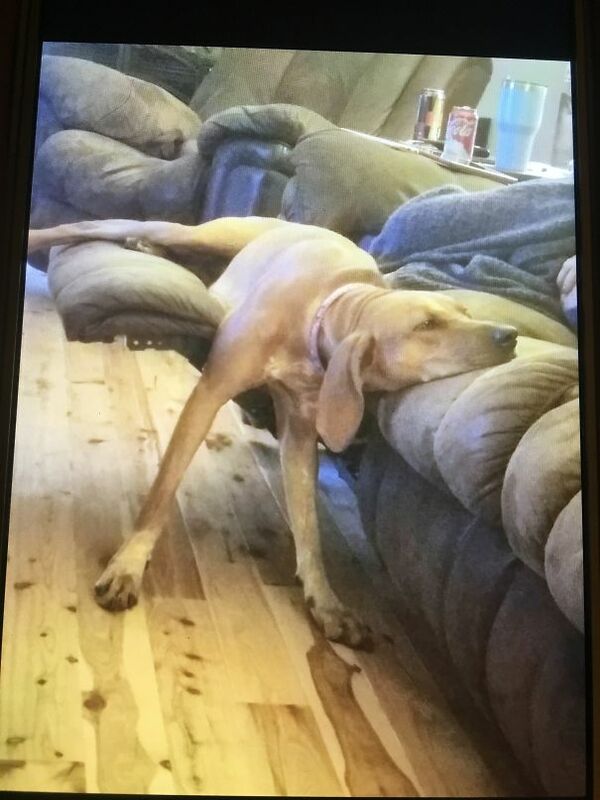 Technically not sitting. Dogs are smarter than you would ever think. This dog shows that. 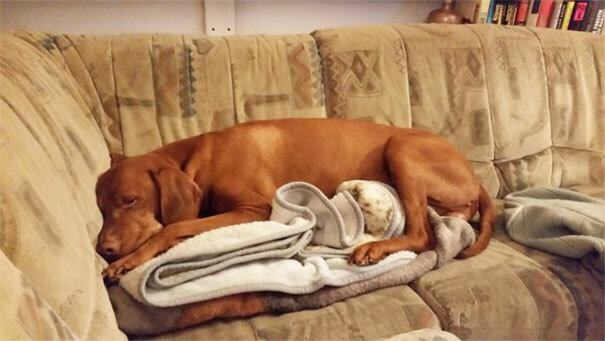 He is allowed to lay on blankets, but can’t lay on the couch. 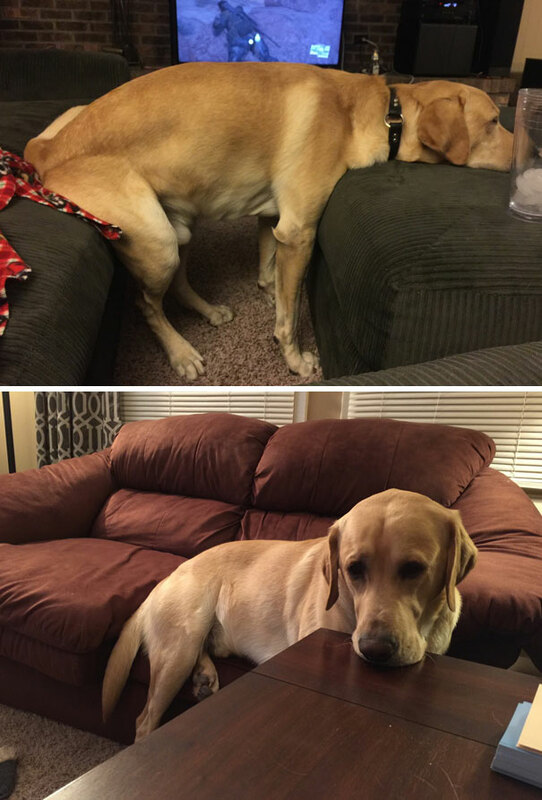 He found a way around the couch rule. 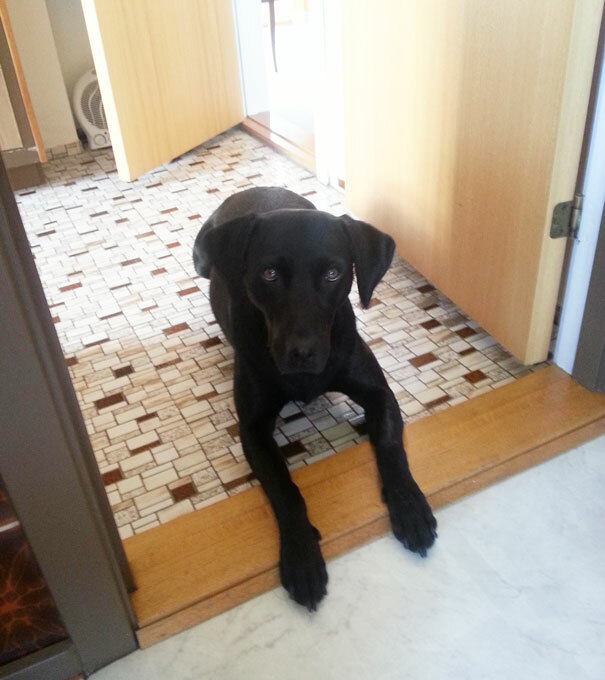 She knows she isn’t allowed to beg, but that doesn’t stop her from giving the owner a look. I would be begging for that food, too. 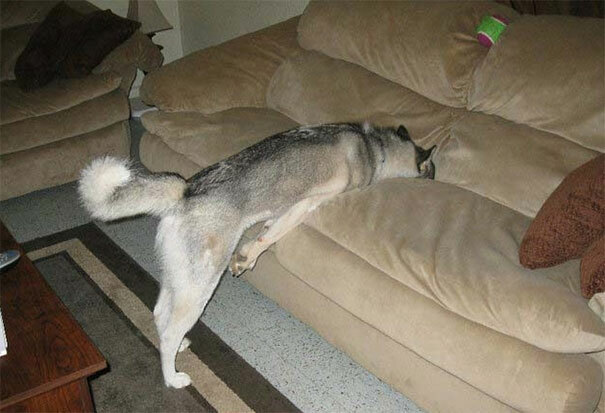 All these dogs have one thing in common: they each know how to break the “no couch” rule. 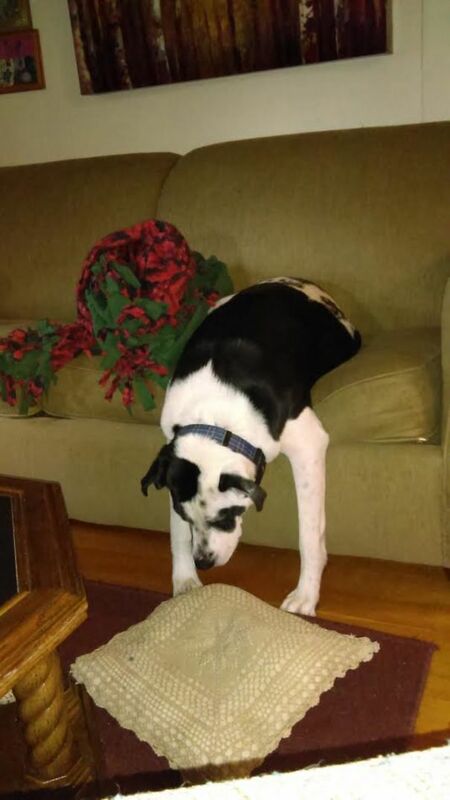 No paws allowed on the couch. 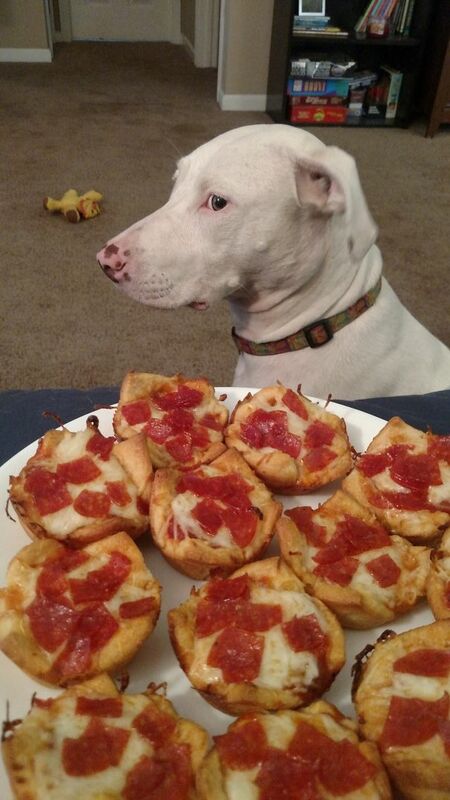 This dog may be a genius. We have a rule bender here. 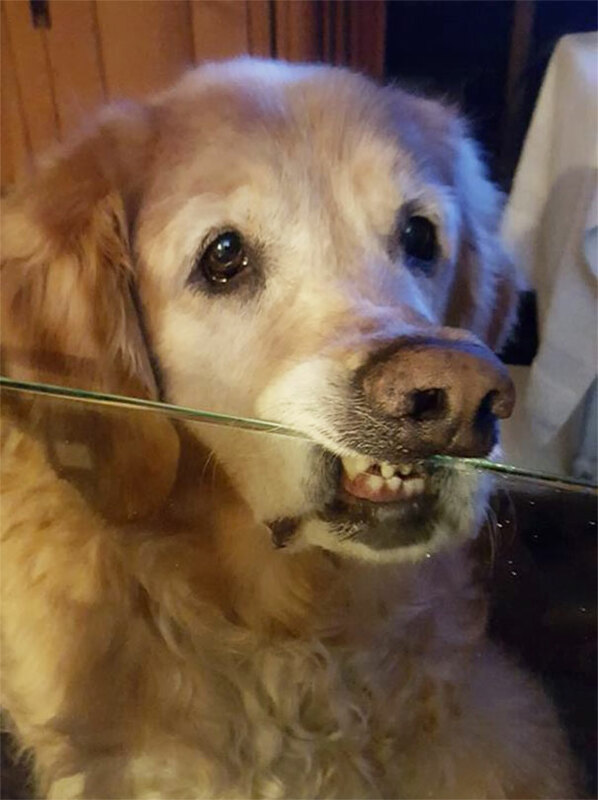 He isn’t allowed to put his chin on the table. Technically, he didn’t. He seems like a ball of fun. These dogs aren’t allowed in the office. 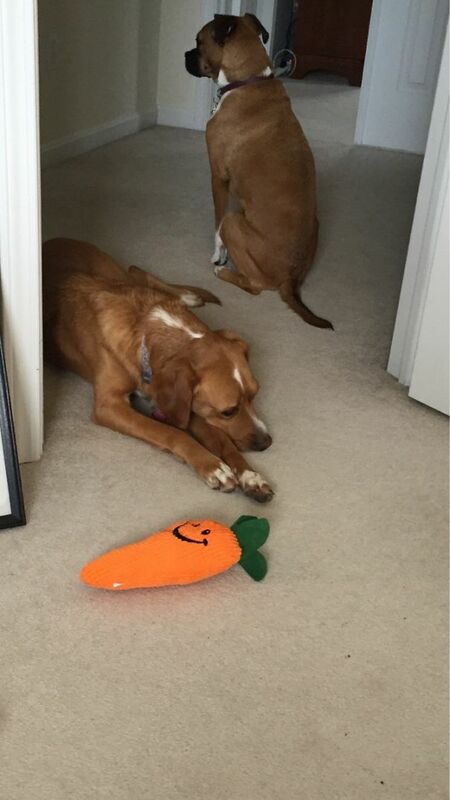 The dog on the left threw her toy carrot in there hoping she could sneak in that way. Good try. She’s not allowed ON the couch. 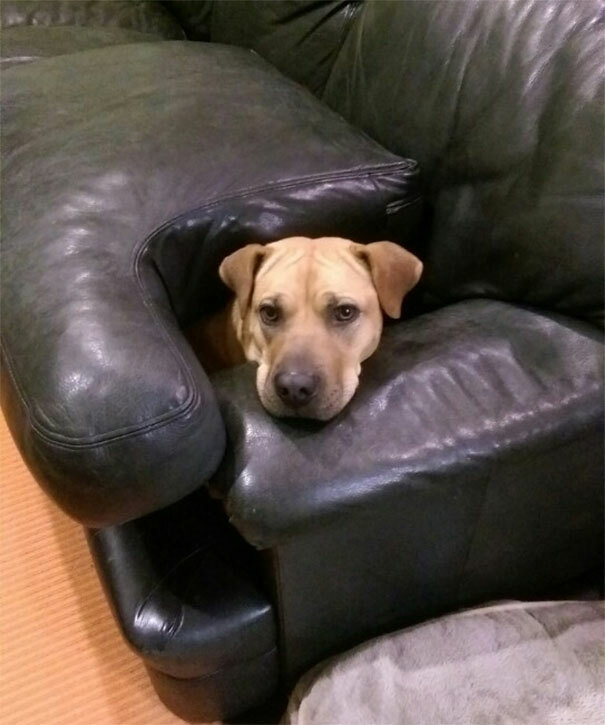 Nobody said she isn’t allowed inside the couch. She isn’t allowed in her owner’s room. Her logic is that if she doesn’t make eye contact with the owner, she won’t get kicked out. Interesting logic. 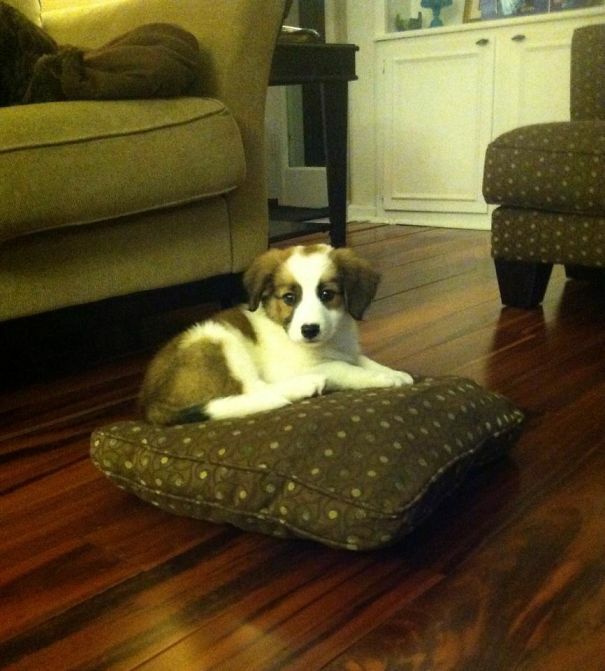 She isn’t allowed on the couch, but there isn’t any rule about sitting on pillows. What a trouble maker. 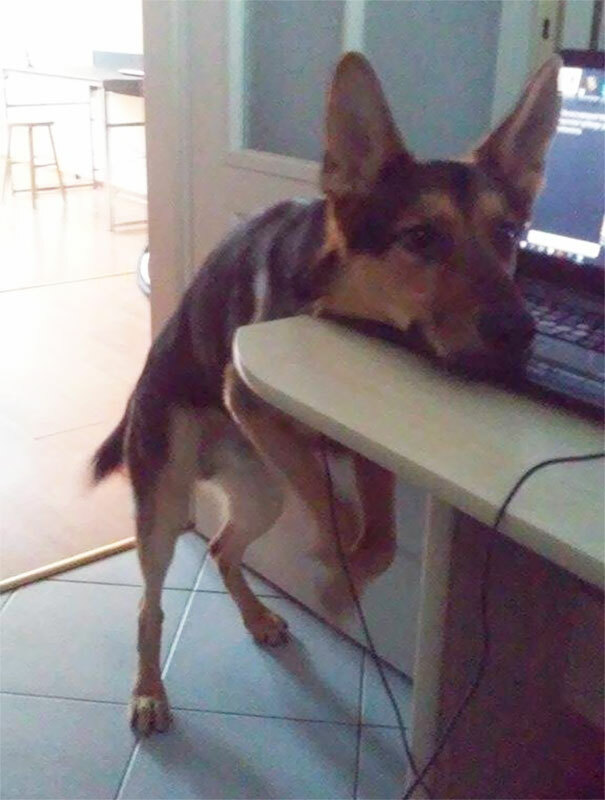 The rules are that he isn’t allowed to put his paws on the desk when he wants to play fetch. This is his way for going around the rule. 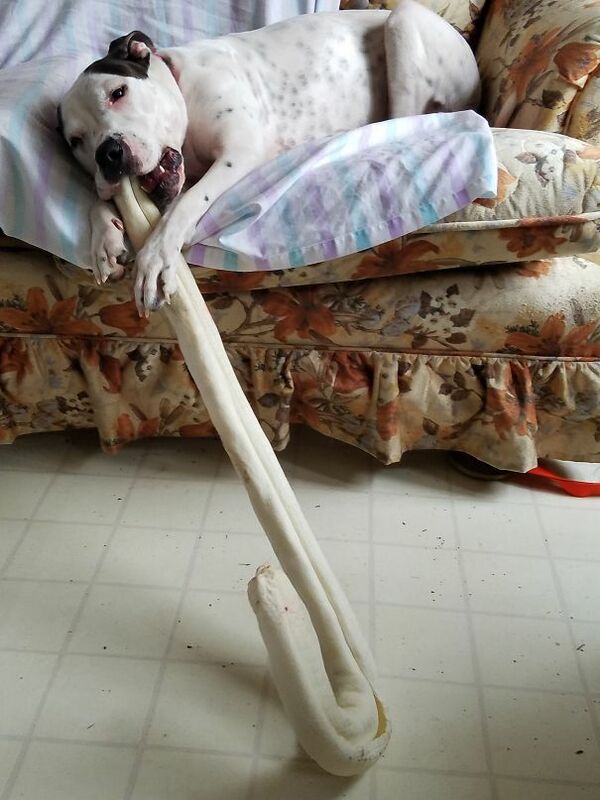 I’m sure he keeps his owners entertained.